Product code: CW-SCP-17. Category: Square Cushion Pads. Purchased in sheep wool. Pleased to buy British made product. Quite a firm pad. Fitted cushion perfectly. Brilliant cushion pads, these are the second set I have bought and the first set are still as good as the day they arrived. Best cushion pads I have ever purchased. I bought two cushion pads filled with sheep’s wool for tweed cushion covers I had made and I am very pleased with them. The pad is firm and therefore ideal for a sofa or bed cushion that is meant to give support. Can’t say anything about its long term firmness etc. as I have only got it last week, but it feels very good quality (both filling and outer fabric which is smooth enough to make it easy to put it into the cover) and I will definitely order some more. Delivery was a little bit slow and I wasn’t given any message that the order had been dispatched. When I phoned to ask about my order, I received a tracking number which was very helpful to make sure someone was in to take the delivery. I look forward to ordering more of these and will recommend the Cushion Warehouse happily to friends. Purchased in cluster fibre – Product was fine. Once it turned up. Customer service distinctly lacking in actual service. Purchased 4 sheep’s wool and 2 cluster fibre 17″ x 17″ cushion pads. The sheep’s wool are lovely and very supportive without being hard. Delivery a bit slow but would purchase again when needed. Purchased wool – Lovely and firm – the cushions are perfect! Purchased Cluster fibre – Good product and good service, highly recommended! The hollow fibre cushions were perfect, I was glad of the advice to order bigger than the covers as this makes it a perfect fit. Happy to order again from this great family company. Purchased: Cluster fibre – Perfect, lovely firm cushion pads. Am getting some more soonest. Thank you. 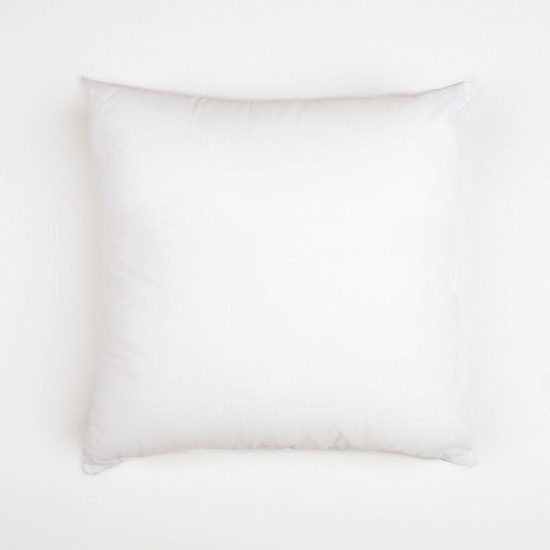 I selected the feather and down filling, and a size a little larger than my cushion covers – they fit very nicely with a comfortable plumpness, and no unpleasant damp feather smell that spoils cushions from other suppliers. I’m very pleased with the cushions, and will be ordering more to replace others I have which are collapsing! 17″×17″ Hollow fibre cushion pads. Delivery was good, pads are plump and of good quality. I certainly recommend them. Bought the 17×17 wool. Very comfy cushion with good support and easy to plump. Very happy chappy! Purchased in Feather. Excellent product, fits the case perfectly, and right amount of filling. I was worried about how well it would be wrapped, especially with all the wet weather, but it was triple wrapped in thick plastic. Very pleased, would use this company again. I wanted to buy a cushion pad that would do justice to my Christmas present, which is a beautiful handmade cushion. I chose sheep’s wool filling and am delighted with my purchase. Have now decided to upgrade all my cushion pads in the New Year and will be back for more. Purchased in Cluster Fibre. Delighted with cushion pads. They make all the difference.. 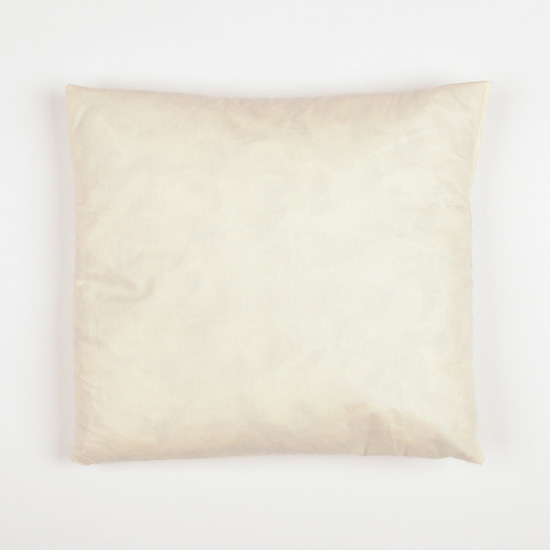 Excellent feather cushion pads – extremely slow delivery so lucky I wasn’t in a rush! Bought 4 cushions pad 17″x17″ luxury cluster fibre for mother in law from one from few Christmas’s wishes this year. I am sure she will love them. All are look beautiful, good finish (sewing), so comfort and made in UK. Its not easy to look for cushions pad 17″x17″ and choose filling what we want. So definitely will buy again from cushion warehouse if need a new cushions pad or pillow. Highly recommended this seller. Purchased in British wool. Lovely cushion, nice and soft. Purchased in Britsh Wool. Very nice. A good weight compared to synthetic fillings. I like feather filled cushions but my other half is allergic to them so this is a lovely natural, alternative. Also like that they’re made in the UK. Purchased in Hollow Fibre. I bought several of these cushions with fibre filling. I am delighted with them, just what I wanted with a very professional finish. I would not hesitate to buy more of these in the future. Excellent! Purchased in Sheep Wool. I’m so glad my internet search for non standard cushion pads led me to Cushion Warehouse: Finding they stocked wool-filled pads was a big bonus (I think this is the only UK supplier of sheep’s wool-filled cushion pads? ) I bought two to see how good they were and .. they are terrific. Excellent quality of cushion pad cover + the filling is brilliant ; soft and malleable to sit against then bounces back into shape. Very happy customer. I love the sheeps wool filling. They are soft but have a firmness to them. Fed up with my old cushions where the ends of the little feathers poked through.